Yomawari: Night Alone is ranked in the 66th percentile of games scored on OpenCritic. Well, Yomawari: Night Alone is one of those spooky horror games that reminded me why I love J-horror so much, even when the genre’s given me so many disappointments over the years. It has its flaws, but is an absolute must-play game, especially if you own a Vita. The game is a mysterious one, and despite the cute graphics, it will surely make you jump here and there. The creatures in the game are weird and creepy while also being wonderful and unique. 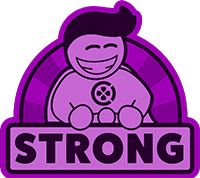 This is a highly addictive release, and its in-game sounds and music is first class- The game may not have combat, but it is definitely well worth your time and money. Yomawari: Night Alone represents something my beloved Vita doesn't have enough of: a damn good, effective horror showpiece with amazing sound, great creature design, and wonderful atmosphere. If you're a fan of survival horror and you live on Vita Island, this is a must-buy. In the end, I can highly recommend you buy this title. 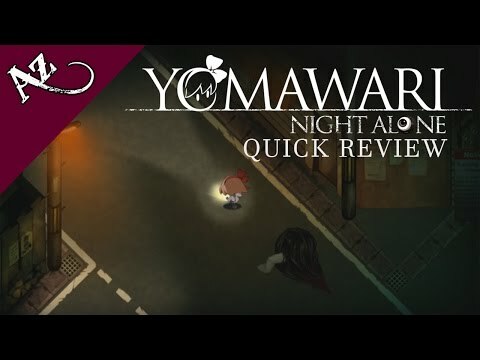 I loved my time with the game to write this Yomawari: Night Alone Review – it’s creepy looks, atmosphere and sounds are something you have to experience. And if you really want to have fun with the game, be sure to play at night, in the dark, with your headphones on. Trust me on this one – you’ll thank me later! Yomawari: Night Alone is a great horror title that mixes its visuals with elements of adventure and puzzle solving to create a satisfyingly scary experience. Yomawari: Night Alone is a throwback to good old survival horror genre, spicing it up with emotional themes and ingenious mechanics to make for a definitive must-play for fans awaiting a game that will be remembered. A must-play. Simple as it might look, but Yomawari is a remarkably complex game that aims to be something far loftier than most attempts at interactive horror. Its intensity is in its subtleties, and the way it is constructed makes it a masterclass in the aesthetics and theming of one of the most important art traditions to have ever come from Japanese culture. It’s hard to find a truly glaring flaw in Yomawari: Night Alone. My biggest complaint of a lack of story or creature explanations is honestly something that other players might have zero problems with. It’s even something that I admit myself adds to the mystique and charm of the game. I’m awful at playing horror games, and I’m always too scared to make any real progress. Yomawari creates a great atmosphere of tension and terror that rarely relies on cheap scares, and it was the perfect formula to keep me hooked until the end. If you’re looking for a good alternate horror game, look no further. A charming & scary 2D adventure full of Japanese elements & a great aesthetic work on it's back. One of the best survival horror for PS Vita. At the end of the day, believe it not this game goes much further than looking for your dog and sister. Ultimately it’s a coming of age story about coming to terms with one’s actions and understanding life and death. Between that and the game’s atmosphere and aesthetics, the game doesn’t look like much, but it certainly brings a lot to the table. Outside of the whole “quicksaves are just checkpoints” bit, the game barely has any faults that could be recalled. With Halloween being just a few days away from the official release date, NIS America could not have picked a better moment to release this horror title. Yomawari: Night Alone has nothing to do with Halloween itself, but as the days of October get shorter and the darkness sets in quicker, there’s a coolness in the air and a creepiness to the game that comes together perfectly to chill you to the bone. Yomawari: Night Alone is a story about childhood loss, mortality and facing your fears. It’s certainly not the most technically or mechanically amazing game and a lack of familiarity with the Japanese concept regarding gods can dilute its story. What it does well, however, is leverage Japanese folklore while tapping into those fears and insecurities we’ve all felt as children in order to transcend the game's own limitations. Charming and survival-horror may seem like an impossible mix but that’s exactly what Yomawari: Night Alone manages to do. Yomawari: Night Alone is an excellent survival horror title that will keep players on their toes for the duration of its four hours long campaign. Nippon Ichi Software‘s latest title goes back to the horror genre’s roots, letting go of modern traditions and bombastic set pieces, and focusing on a more personal story instead. I don't think I'll ever forget the bone-chilling reaction I had in the opening moments of Yomawari: Night Alone. It was the perfect way to grab someone's attention and immerse them into the tone of the game. Yomawari: Night Alone is a great game that will keep you on the edge or your seat. Its hard and stressful at times, but it was great to experience. If you like games like the original Corpse Party, then I’m positive Yomawari will be to your taste! One of the scariest experiences I’ve ever had in gaming with its nerve-racking atmosphere and grotesque enemies. Yomawari: Night Alone has small elements that may be frustrating, with repeated death and wasted time spent wandering, looking for the one thing that will cause some progression. This is mitigated by its short run time and great sense of atmosphere. The reserved score, reliance on player imagination, and world building make it a worthwhile investment for those who aren’t afraid of surrealistic creatures lurking in the dark. Yomawari: Night Alone is a cute, but bone-chilling game that will make players want to never walk their dogs at night, and if they do, have cell phones with flashlights on at all times. Yomawari: Night Alone is a unique example of Japanese horror on the Vita, but there are some lacking areas in its design. Even with that, I wholeheartedly recommend picking it up. Yomawari: Night Out is the definition of survival horror, trapped with nothing to defend yourself with against horrors that await around every corner. Yomawari may be light on jump scares but the creatures, sound design, and atmosphere is enough to creep anyone out. Despite its flaws, Yomawari: Night Alone is an entertaining game that will be perfect to play while handing out candy to the neighborhood trick-or-treaters. The incredibly lenient death system will be seen as a boon by those who suffer through horror games and love only having to experience a particularly scary section the bare number of times that is necessary. The save system also encourages a pick-up-and-play mentality, which is a nice fit on the Vita. Pick up Yomawari: Night Alone if you want to see a horror game on the Vita, because it will likely be one of the last of its kind, since the system is on life support. Yomawari: Night Alone features an interesting story premise which is somewhat held back by its repetitive gameplay. The survival horror aspects take inspiration from the old school games and the gorgeous art style makes the game visually appealing. It can be a fun experience if we can ignore its shortcomings. Despite having its roots firmly set in survival horror, Yomawari: Night Alone is really not all that scary. It’s creepy for sure, but in terms of pure jumps or shivers, these reactions were a no go. Yomawari: Night Alone is a game that will be remembered more for its tone and story than gameplay, but that’s enough to recommend it. Billed as a horror game, Yomawari: Night Alone ultimately feels like it falls more on the side of tragedy. Sure, it has its jump scares which can get the blood racing, but the town and its supernatural inhabitants just feel a little too charming to be considered a real threat. The story, with its sad undertones, will definitely tug at the heart strings the more that it unfolds - far more frequently than it'll scare you, especially once you become accustomed to the ghost's surprise visits. Yomawari is satisfying in its own weird way, but those looking for a good scare may be disappointed that any potential threat is short-lived. A very different kind of survival horror, that despite a few flaws is both scarier and more thematically interesting than most of its contemporaries. Yomawari: Night Alone is an original horror tale that shuns 3D and hyper-realism to stake everything on the atmosphere and on the discrepancy between &quot;cartoon&quot; style and horrific themes. Until we do get that next genre-defining horror gem, Yomawari is a nice distraction that will hopefully be worked on to bring us something even more sinister and satisfying in the future.